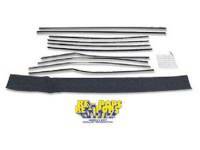 Re-Pops specializes in automotive replacement parts with the emphasis on weatherstrips and other non-metal seals and gaskets. 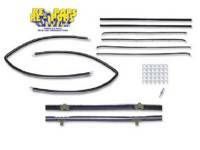 Find the Re-Pops part you need for your Classic Chevy below. "America's Most Excellent Reproductions" is the company slogan of Re-Pops automotive replacement parts company. They work primarily in rubber, such as gaskets, window seals and weatherstrips, but they also have a line of non-metal gaskets like those found in antennas. They manufacture rubber seals, firewalls and plastic shields. Seals and gaskets help to keep your vehicle watertight. 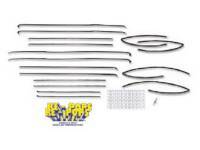 At H&H Classic, we carry a variety of Re-Pops gaskets and seals for the classic Chevy. For example, if you are looking for air vent ball seals for the AC system in your 1966 to 1969 Chevy, we carry seals that fit the chrome vent balls to the ball bezel. 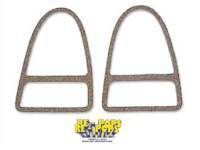 Re-Pops also manufactures door handle and lock gaskets for the 1959 Chevrolet 2-door Impala and other models. The gaskets are made in the United States, and we carry other years and models of gaskets by Re-Pops. When you buy a Re-Pops product, you get a reproduction product that is specifically created to fit your model vehicle. From the insulated fiberboard firewall pad that buffers noise and heat for the 1960 to 1966 Chevy truck to the park light lens gasket for a 1957 Tri-Five, you can be sure that you are getting a product that is designed to fit your vehicle. When you need gaskets or weatherstrips to finish your project, we have the right part for your car.